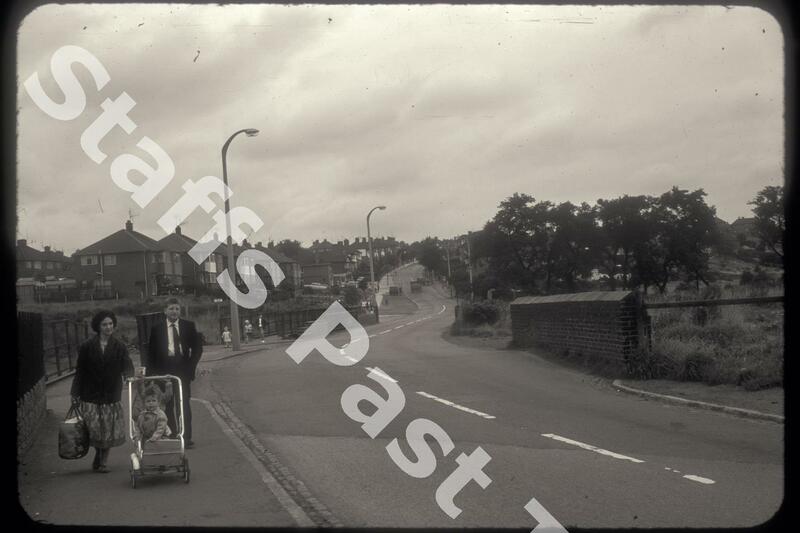 Description:This is the view north along Blurton Road from Poplar Drive. In the centre of the photograph is the bridge that carries the road over the Cockster Brook (also known as the Longton Brook). The brook starts in Parkhall lake (where it is known as Anchor Brook) and flows via Heron Cross into the River Trent in Trentham. At one time the brook powered Sideway Mill. 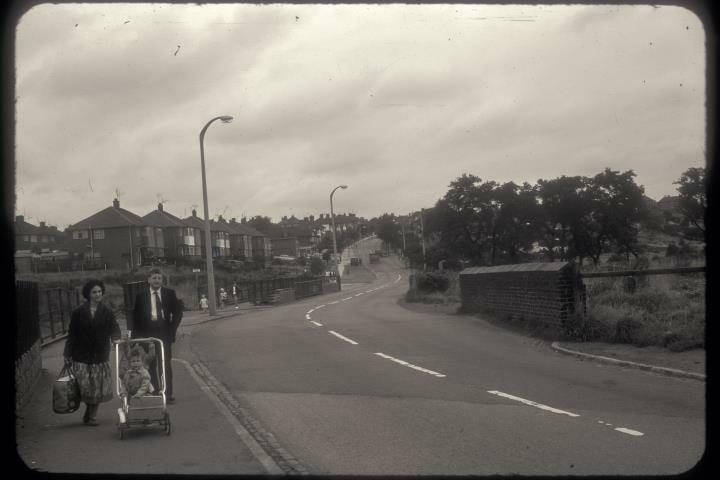 The houses on Blurton Road were built in the 1930s.